Georgia Southern's transition season into big-time college football was nothing short of extraordinary. The Eagles finished 8-0 in Sun Belt Conference play and were 9-3 overall. But the team was not allowed to play in a bowl game because of some stupid NCAA rule that prohibits teams from competing in the postseason during a transition season. Wiz correspondent Greg Laughlin spent last Saturday in San Marcos, where he took in the Georgia Southern-Texas State game. The visiting Panthers won their seventh game in a row by holding off the Bobcats, 28-25. It's a year of transition for Georgia Southern, which is making its move from Division I-AA to I-A. 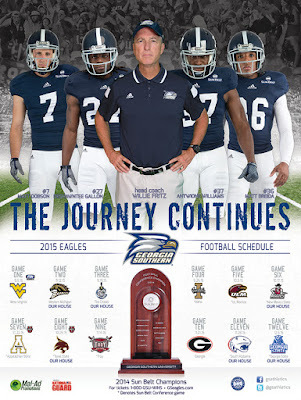 The Eagles are now members of the Sun Belt Conference but won't be eligible for a bowl until 2015. The team also has a new coach in Willie Fritz, who was at Sam Houston State. He replaces Jeff Monken, who left Statesboro for Army. Fritz is changing the offense from an option attack to one featuring more balance. 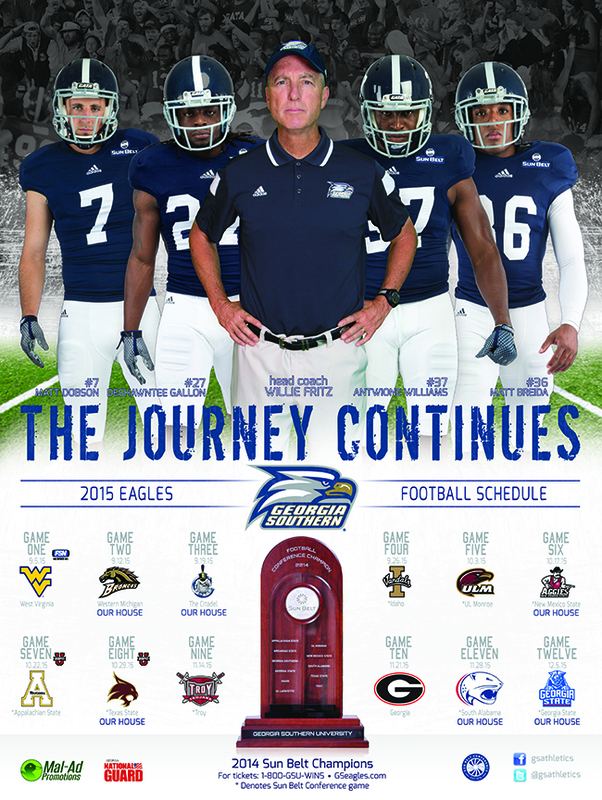 If you remember, Georgia Southern closed last season with a stunning 26-20 victory at Florida.